Services - GW Tech Consulting Co.
Genious Werks offers a full range of IT services, customized to your needs, at an affordable price. From day-to-day troubleshooting to strategic long term planning, we have you all covered. We can be your IT Department or supplement your already existing IT staff. Premium Coverage for Complete Network Management and Computer Support Genious Werks Coverage is designed to meet the needs of your on-going IT management and support needs. We can be your professional IT department and fill the role of IT Manager, desktop support specialist, strategic planning advisor and project implementer. This is done through our team approach where instead of relying on the capabilities of one person, you get an entire team of people to fulfill the various roles and a dedicated relationship manager. GW has experience serving businesses in the New York Metropolitan area. We offer a full-line of IT Consulting Services for the design, implementation and maintenance of secure and reliable Computer Networks. From wired and wireless local area networks (LAN) to secure wide area networks (WAN), with virtual private networking (VPN) capabilities, GW is the logical choice for your Computer Networking needs. Since 2009, our creative team has been guiding some of America’s best known companies and organizations on the world’s largest social networks: Facebook, Twitter, Yelp, and LinkedIn. These social networks and many more have completely changed the way businesses interact with their customers. Our knowledge and expertise in building and maintaining a wireless network connections throughout your business allows you to "cut the cord". Protect your data. 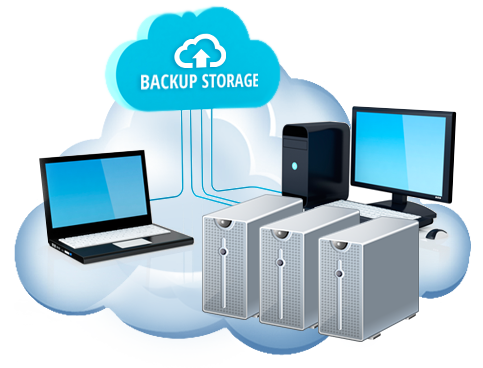 The easy, effective way to manage your team's backup needs - Desktop, Laptop, Server, & NAS. Never lose a file again! Having trouble choosing an internet service provider? GW has a wealth of knowledge in the ISP arena. Let us help you choose the right ISP for your business so your internet connection is up and running with the minimum amount of interruptions to your service. GW specializes in providing a wide range of reliable, cost-effective voice, data and video infrastructure support services. These include: design, engineering, installation, documentation and maintenance of EIA/TIA standards-based copper & fiber optic premise cabling systems. GW's multi-layered security program will protect your most valuable asset; your information. Among the most important aspects of anyone's data is security. GW posseses the expertise and offers multiple solutions for securing your data and computer network infrastructure. We provide a range of IT Consulting Services including Network Assessment and Documentation, Computer Hardware/Software Support, Network Administration throughout New York including all of the New York City buroughs including Long Island, Queens, Brooklyn, Manhattan, Upper East Side, Central Park, Park Avenue, Financial District, SOHO, Harlem, Bronx, and Staten Island.